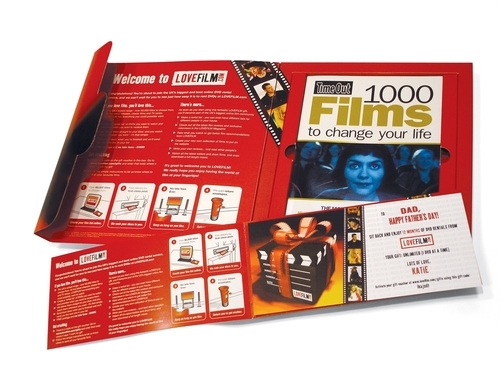 LOVEFiLM.com, Europe's leading online DVD rental and entertainment site which has over 65,000 DVD titles, is offering a specially designed LOVEFiLM Gift Box subscription for Fathers Day – complete with a fabulous TimeOut or Rough Guide film book. Complete with your own personalised message, you can show your father how much you love him – simply log on to LOVEFiLM.com to purchase a gift subscription today and it will be sent straight to his door – for as little as £16 for four months subscription. This press release was distributed by ResponseSource Press Release Wire on behalf of Mischief PR in the following categories: Children & Teenagers, Men's Interest, Entertainment & Arts, Women's Interest & Beauty, for more information visit https://pressreleasewire.responsesource.com/about.